Secretary of the Air Force Deborah Lee James declared a critical Nunn-McCurdy breach on the GPS Next-Generation Operational Control System (OCX) today (June 30, 2016). After a December 2015 Program “Deep Dive,” Undersecretary of Defense for Acquisition, Technology and Logistics Frank Kendall placed the OCX program under significant Department of Defense (DoD) oversight with quarterly reviews. Since a March 8 deep dive, Raytheon’s progress on both the replan and development of Block 0 and 1 provided sufficient data to enable the Air Force to state with confidence that the cost for OCX will grow beyond the Nunn-McCurdy 25 percent critical breach threshold. 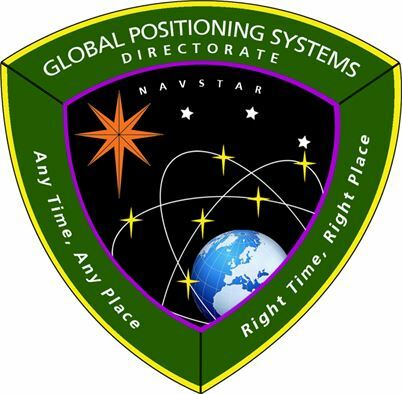 The Senate passed a Defense Authorization bill earlier this month that "fenced off" GPS OCX funds until a Nunn-McCurdy certification was received from the Secretary of Defense. The quarterly reviews also considered off-ramp mitigations in the event OCX does not stay on track. GPS III Contingency Operations (COps) is already being implemented as a bridge to cover the OCX Block 1 delays. Additional mitigation options are being prepared as a bridge for the Block 0 and Block 1 capabilities. An Air Force headquarters press announcement said that factors that led to the critical Nunn-McCurdy breach include inadequate systems engineering at program inception, Block 0 software with high defect rates, and Block 1 designs requiring significant rework. Additionally, the complexity of cybersecurity requirements on OCX and effect of those requirements on development caused multiple delays. Corrective actions to resolve these problems took much longer than anticipated to implement. Raytheon has not received any fee on the OCX contract since August 2013. They received a total of $43.9 million in award and incentive fee payments up to that point. The total amount of fee lost since contract inception is $48.3 million. About $64.8 million in fee remains available on the contract. All remaining fee opportunity is being restructured to be earned only upon delivery of Block 0 and Block 1. The process for a critical Nunn-McCurdy breach requires the service secretary to notify Congress, followed by the submission of the Selected Acquisition Report (SAR) by the Office of Secretary of Defense, and then an Undersecretary of Defense for Acquisition, Technology and Logistics (USD (AT&L)) led assessment of the program. Re-certification or termination of the program will depend on the findings of this assessment. The Nunn-McCurdy process is expected to conclude October of this year. The Air Force will support the Defense Department’s review, as required. The announcement came just three days after Raytheon announced it had achieved another OCX test milestone. in 2017, with the delivery of the Block 0 Launch and Checkout System.